Every week, Violinist.com brings you links to reviews of notable violin performances from around the world. Please share your thoughts about any recent performances you've attended (or these reviews!) in the comments. 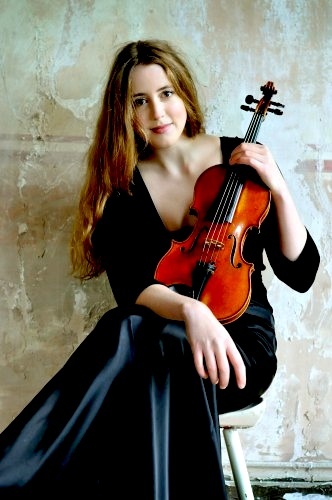 Limelight: "Young Norwegian violinist Vilde Frang approached the violin part of Britten's concerto like a dramatic monologue, extracting the emotional resonance of every moment while skillfully dealing with the technical demands of the writing." South Florida Classical Review: "this spiky, oddball work is a perfect vehicle for the American violinist Leila Josefowicz, whose affinity for contemporary music seemed to give her a special feel for the Stravinsky, which still feels fresh and challenging, despite having been composed more than 80 years ago." The Guardian: "...it was Ehnes's soulful, impeccable, engulfing Shostakovich that made this concert unforgettable." The Hartford Courtant: "...local violin prodigy Sirena Huang has developed into an artist in front of our very ears." South China Morning Post: "During the quiet but astonishing encore, a transcription of the guitar solo Recuerdos de la Alhambra, Ning created a circle of intimacy, as if we were just sitting on his sofa at home, for the transfixed audience." New York Classical Review: "Mutter made the concerto sound much more difficult than it is. Right from the start, her intonation was suspect, only rarely sitting directly in the center of the note." New York Times: "...there was room in “La Follia” for flair and drama, for Ms. Mutter’s haunting way of evoking a kind of unfinished, ambiguous mystery in music, as if she hadn’t quite finished considering it." South Florida Classical Review: "Much of the old Perlman magic and charisma were on display at his matinee performance as well as some of the recurrent issues." In other news, Cincinnati Symphony Orchestra violinist Catherine Lange-Jensen, 55, passed away this week after a battle with cancer. She had played in the CSO for 29 years and was the orchestra's associate principal second violinist. "Whatever she did, it was with absolute full commitment, whether it was playing her violin, being a step-mom or cooking. She was a legendary cook, and everybody knew it," her husband said. "She’d say, 'I'm just following the recipe.' But following the recipe for her was like Heifetz playing the notes. She never did anything halfway."